King Theodoric led 100,000 Ostrogoths to Italy, about 20,000 of them were warriors. 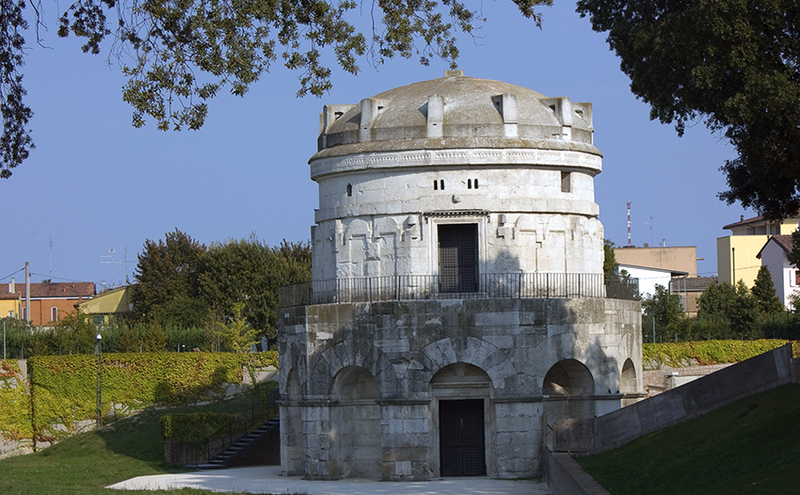 He settled them exclusively in northern Italy, on the former fiefs of Odoacer’s warriors, meanwhile, he only built military fortresses in the south of Italy. He cared about the needs of his people and the majority that were Romans. One of his acts was the forming of the commission that granted land to Goths, which was supervised by the senator Liberius. Every Goth was granted a third of an estate, including slaves, coloni and the livestock that belonged to said estate. Theodoric, as the de facto ruler, claimed an emperor’s fief, the so called fisc, which his functionaries governed for him. He divided the land into nineteen provinces, to make ruling less complicated. Each province was ruled by a comes Gothorum, they were, principally, military commanders. The uppermost structure of civil government was ruled by a praetorian prefect who was stationed in the capital of the kingdom, Ravenna. Apart of the civil rule, the praetorian prefect had the right to recruit soldiers. The city councils (curia) remained in every city, and the senate was preserved in Rome. The Roman senate consisted of influential Romans, and their main duty was the collection of taxes. The Ostrogoths preserved the Roman administrative structures and the magistratures, but the military functions were occupied by Goths, while the civil duties remained in Roman hands. Another influential individual was the Roman Flavius Magnus Cassiodorus. Cassiodorus occupied the position of state secretary in the Ostrogothic kingdom, and he wrote the Gothic history – a task which was given to him by Theodoric himself. In the sixth century Theodoric published laws, the so called Edictum Theodorici regis. It was a shorter compilation of Roman laws and did not define the so called, personalization of law; it was the same for Goths and Romans. Theodoric, although an Arian Christian himself, had to keep his impartiality towards the Roman and the Arian church. 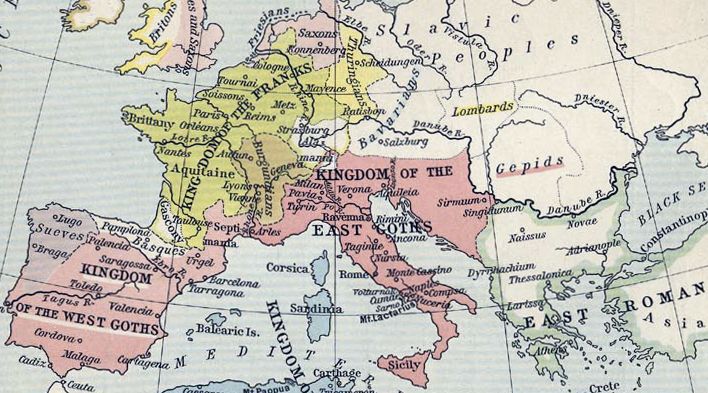 Theodoric based his foreign policy on the consolidation of the Ostrogothic rule over the other Germanic tribes of Europe. In 507 the Visigoth king Alaric II was slain in the battle of Vouille. Amalaric, the supposed nephew of the king Alaric II, was the successor to the throne. Theodoric became the regent, since Amalaric was too young, and he was his regent until 526. Since Theodoric had no sons, the problem of who would succeed him became apparent. In 519 he married his daughter, Amalasuntha (which means “light of the Amali”) to Ostrogothic prince Eutaric. Amalasuntha and Eutaric had a son whose name was Atalaric, and Theodoric named him as his successor. Theodoric’s last years were overshadowed by a political affair. In spite of his policy of reconciliation, some senators were not able to accept the rule of the barbarians. Therefore, they were sending secret letters to the eastern Roman Emperor Justin I (518-527), begging him to free them from the Ostrogothic yoke. When Theodoric learned of this, he ordered the lockup of many noble Romans; among them the philosopher Boethius, who wrote his most known work “The Consolation of Philosophy” in captivity. He was executed in 524. Theodoric died in 526. He was buried in Ravenna, not in an underground tomb, but in a mausoleum, in a casket made out of a single block of red marble.